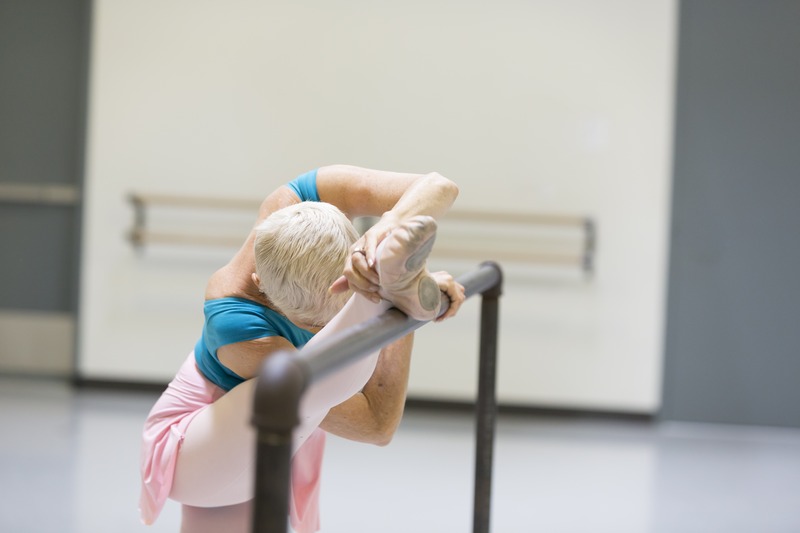 Our Adult Open Ballet classes were named the Best of Phoenix in 2015 by readers of the Phoenix New Times. The School is closed April 19-21, 2019. Classes will resume Monday, April 22. Open to teens age 14 and up and adults of all ages, this program is a great way to experience dance training, stay in shape and have fun! Three levels of ballet classes are offered: Beginner, Intermediate and Advanced. There is live piano accompaniment for all ballet classes! Dress for comfort and bring your ballet slippers (though tights and leotards are recommended). Open classes for Adults are scheduled throughout the week both mornings and evenings, even on Saturdays and Sundays. 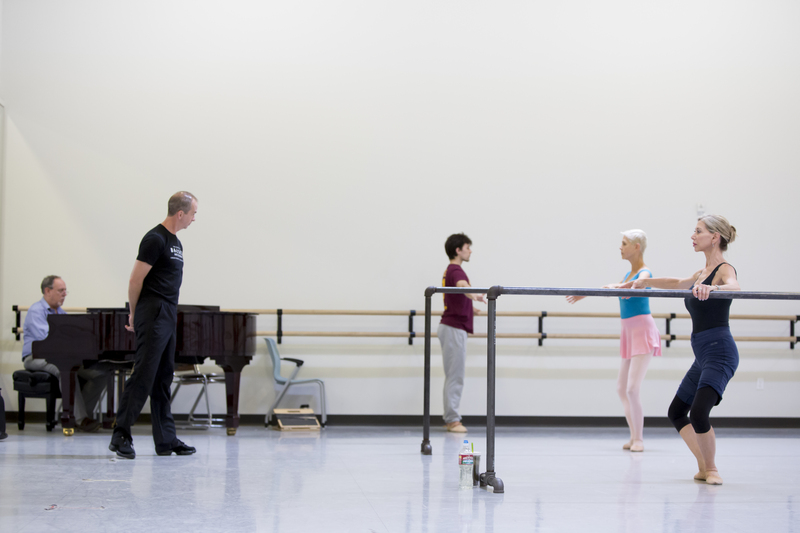 Beginner Ballet: This class will focus on the basics of ballet. 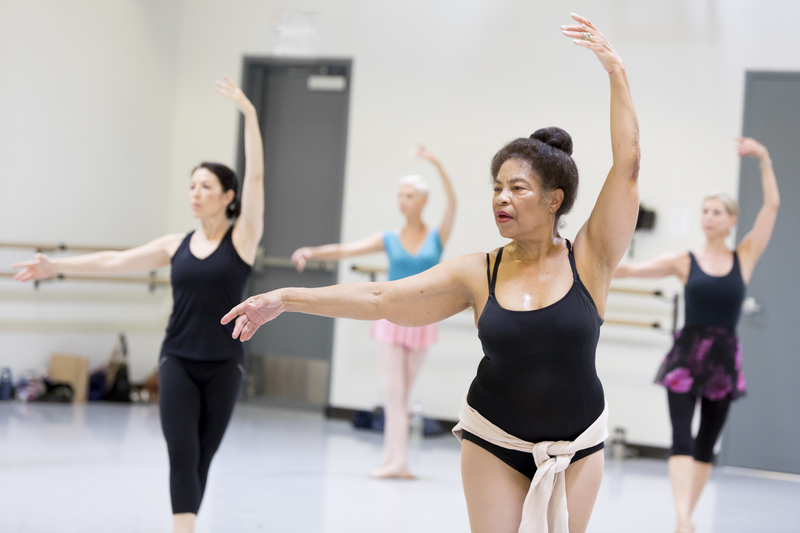 Adults without experience will learn an introduction to ballet technique and no previous experience is required. Intermediate Ballet: Technical proficiency and sufficient knowledge of ballet terminology is required to fully enjoy the Intermediate level. Advanced Ballet: Technical proficiency is required. The Advanced Ballet class will increase speed and complexity in the exercises. The Beginner/Intermediate pointe class will offer introduction to the art of pointe work as well exploring more in depth pointe work for those already on pointe. 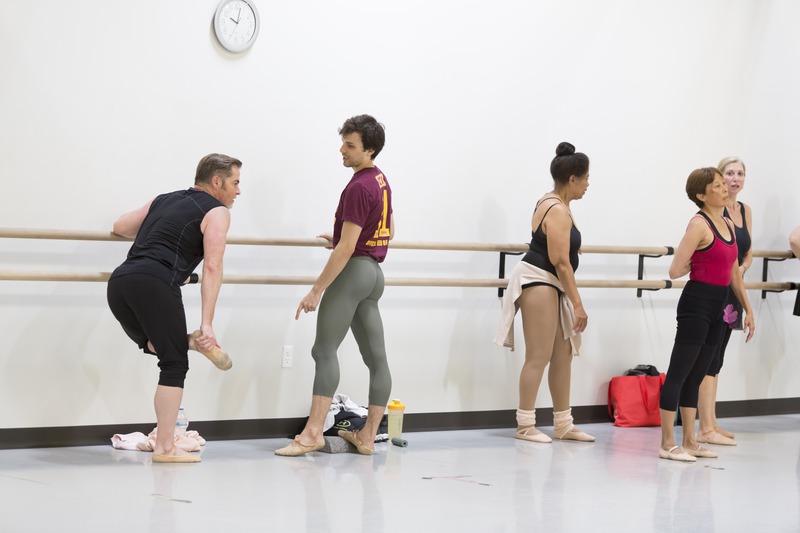 This class meets for one hour and the School suggests students attend the adult ballet class prior to the pointe class to be properly warmed up. It is also recommended that in order to maintain proper technique and flexibility needed for pointe work, students should attend at least three ballet technique classes per week. Horton Technique is a form of modern dance, developed by Lester Horton (1906-1953), an American dancer, teacher, and choreographer. He created this technique as an anatomical approach to creating a well-rounded healthy dancer. Horton incorporates Native American folk dance, Japanese arm gestures, Javanese and Balinese isolation, and Afro-Caribbean elements. No long term commitments – the more you dance, the more you save! NOTE: All class cards are non-refundable. 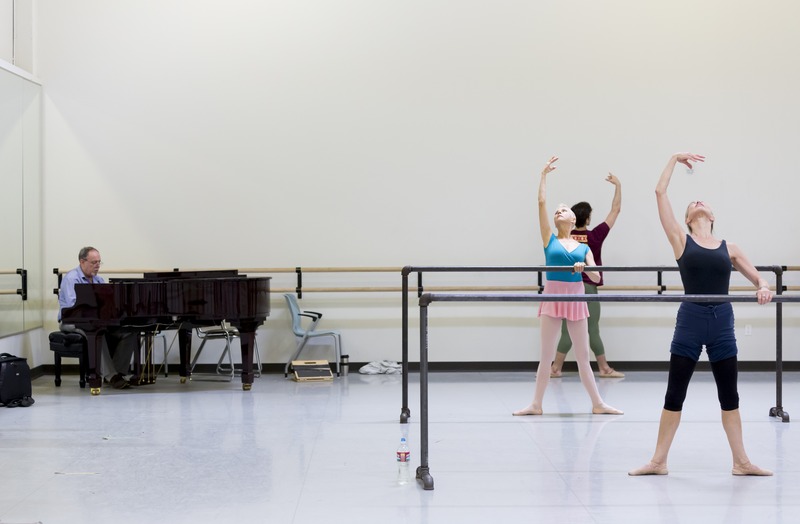 In the case of medical reasons, The School of Ballet Arizona will extend the due date out an additional 6 months. No Modern class April 3, 2019. *Schedules and Faculty are subject to change.